Foodicine Health is the only non-profit in the United States that is focused on 1) educating the public about the importance of adhering to the specific special meal programs that treat various chronic illnesses and food allergies and; 2) educating restaurants, schools, airports, etc. about the importance of accommodating individuals who must follow a special diet. “We are what we eat”. Unfortunately, for many people, what they eat is not healthy for their overall well being or for the chronic medical condition they may have. How to change one’s diet to feel better and be healthier is a challenge. When diagnosed with a chronic medical condition, changes in the patient’s nutrition are frequently recommended by a physician or nutritionist as part of the treatment of the condition. Yet, often, this is a very difficult task for the patient. There are many societal and cultural pressures on all of us to eat in a certain way. It is hard for anyone to give up foods that we enjoy and we can’t always find the foods that we should be eating for our particular diet in stores or at restaurants. In addition, how do you go to a friend’s house and tell the host “I’m sorry but you will have to make a special meal for me.” Or go out to eat with friends and ask the waitstaff to substitute the foods on the menu that are not part of your recommended diet for ones that are? What happens if the restaurant is not flexible? 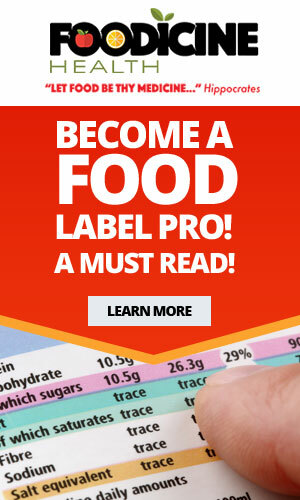 Or what if the public school or college does not offer the foods that you need on its meal plan? It is hard for people to face a medical condition on their own, and if we have to follow a special diet, that may mean disclosing our medical condition to our friends or even to strangers. This can be embarrassing or uncomfortable. With a diagnosis of a chronic medical condition or a food allergy, people are faced with making fundamental changes to their lifestyle, family and social dynamics, and eating habits in the face of poor understanding and support by society. The result is often a choice by people to NOT make the dietary adaptations necessary to optimally treat their illness. The need to educate the public about the requirements of special diets to treat various medical conditions is critical if we, as a society, can adapt to allow people with special dietary needs to easily follow their prescribed meal plan as part of their daily routine and treat their illness. We are at a critical juncture in the relationship between food and the treatment of chronic health conditions. Public education regarding the importance of healthy eating and diet to the prevention of health conditions has been provided in the media and in medical practice. However, public education regarding the need for patients to modify their diet after a diagnosis of a chronic medical condition has not been as significant, and public education regarding the need for restaurants, colleges, and places of public accommodation to provide access to the foods necessary to follow those diets has not been as significant. Foodicine Health hopes to provide that education to the public. 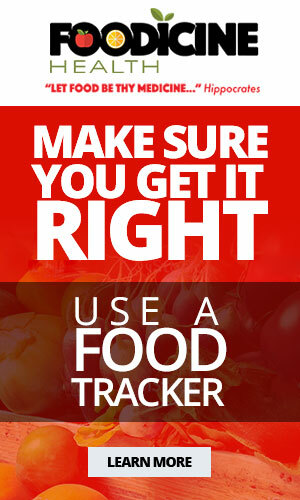 Make sure your daily diet includes the RIGHT amount of calories, nutrients, vitamins, and minerals and excludes the WRONG amounts, use a food tracker.